Midgley Pace Egg Play 2019 on Good Friday, 19 April. The group are all ex Calder High School students who, on their own initiative, have continued to perform the Midgley version of the play for the past few years. A group has been formed to support the players and to ensure its continuity in the future. Milestones and waymarkers in the South Pennines As we walk along country lanes, bridle paths and canal tow-paths we perhaps don’t always notoice the waymarkers and milestones that guided our forebears. When we do, we see their idiosyncracies: place names and distances carefully or crudely carved in the stone; the variations in shape and size; the neat little cuffed hands with a finger pointing us on our way. 'People All Full of Business': This was how Daniel Defoe described what he saw as he passed through the Calder Valley in the early 1700s. In their talk at Hebden Bridge Local History Society, Sheila Graham and Barbara Hall showed how they had used the wills and probate records of residents to find out more about the people who lived in Halifax at that time. Updated: 21 Feb 2018 The Midgley Pace Egg Play - at risk of not being performed this year. Rodney Collinge, who directed the play for almost 20 years when he was teaching at Calder High, proposes to direct the performance again, but needs players to perform in it. From Crime Scene to Holiday Camp: Stories of Hawdon Hall - the first thing that Freda Kelsall had to contend with when she purchased the property near Hardcastle Crags, was the tangle of names that attached to the place: Howden or Howdon – Hole, Hoyle or Hall? But the house also came with many stories that have fascinated Freda ever since, most famously the Hawdon Hall murder. Exhibition: How the Hippies changed Hebden Bridge - An exhibition organised by the Hebden Bridge Local History Society aims to show how those who moved into our area in the 1970s - the locals called them ‘hippies’ - kick-started the cultural renaissance which is today so Hebden Bridge. The Exhibition runs from Monday, 6 March for 5 weeks at Hebden Bridge Town Hall. Rodney Collinge was both a pupil and a teacher at Calder High School, and now as he looks out on those familiar hills, he likes to imagine the people who have walked those tracks in the past. 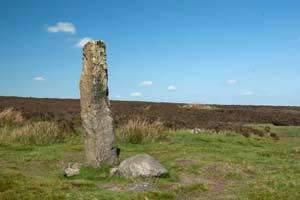 In a comprehensive talk to Hebden Bridge Local History Society, Rodney described how developments from the Ice Age to the end of the 19th century have left their marks on the area. Allan Stuttard gave a talk on his time as a soldier during the Korean War. It was 1952 and conscription was the lot of all 18 old boys, and Allan Stuttard was eager to leave his Hebden Bridge factory work and see something of the world. Diana Monahan gave a talk to the History Society on carols, tracing them back to medieval times, when they were frequently accompanied by joyful circle dances. 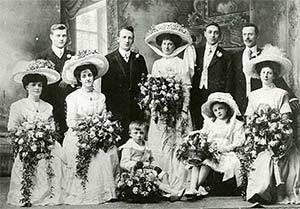 Andrew Bibby told the recent History Society meeting how, exactly a hundred years ago, in November 1916, at the height of World War One, women garment makers of Hebden Bridge came out on strike. The traditional buildings of his local area have fascinated Kevin Illingworth for many years and the large audience which gathered at a recent meeting of the Hebden Bridge Local History Society obviously shared his enthusiasm. 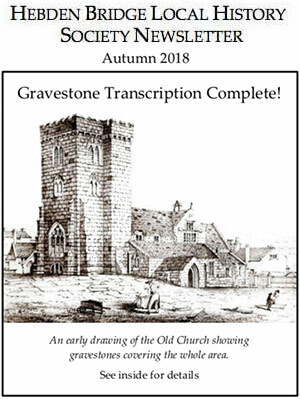 David Glover, local historian and writer, indulged a fascination with the macabre with his talk to Hebden Bridge Local History Society with an eclectic mix of tales of deaths and burials. Isobel Stirk told the Local History Society that two hundred years after the birth of Charlotte Brontë a fascination with the lives of all three sisters remains as strong as ever. Pamela Cooksey told the Local History Society of his many notebooks which included accounts of his visits to the Calder Valley in the late 18th Century. 1914 had seen a kind of war fever, where any anti-war sentiment would be howled down as unpatriotic. John Rhodes, who has made a study of this period, told Society members about what happened to those who opposed the war and those who sought exemption from military service on grounds of conscience. David Cant explained to the audience at the Local History Society, the charter was basically a peace treaty, broken within months. Paul Kenny, by profession a signal-man (including at Hebden Bridge) is also a keen photographer, and shared his slides and his stories with the Hebden Bridge Local History Society. At this recent talk, Peter Jeffery explained how a special organ came to be restored during the time when he was vicar of Cornholme. Jill Liddington told the Local History Society of the moment in history when, in 1911, suffragettes urged women, still without the vote at that time, to boycott the census. John Shackleton told the Local History Society how his family history search led him to the the remote hill-top settlement of Widdop. 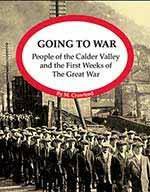 Mike Crawford's book, Going to War, tells of the first weeks of The Great War and the experiences of Calderdale people during that critical time: people at home and people in uniform. Alan Petford: The untimely death of local historian Alan Petford, on 11th February 2015, is a devastating loss for the many local history groups and organisations he has worked alongside. Alan was a long-time friend of the Hebden Bridge Local History Society. Upper Calderdale's suitability for the preservation of local cultural tradition is nowhere shown as strongly as in its wealth of folk tales about places, many of which are still being passed on by word of mouth. 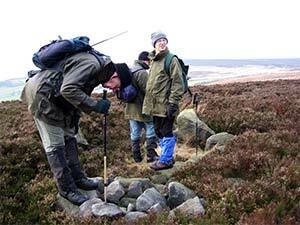 For some years now a small group of friends has been exploring the evidence for prehistoric activity in the South Pennines.